Life in the province has been great for the past twenty years (well, almost 20 that is). I’ve always appreciated the fresh air, the lack of traffic and the laid-back lifestyle. I feel bad that these days, with the progress going on in our neck of the woods, there are some things that have got to give. 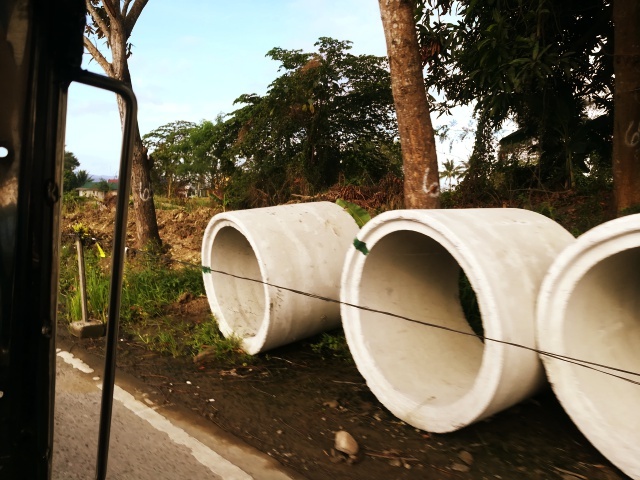 Road widening projects have been common in our area for a couple of years now. 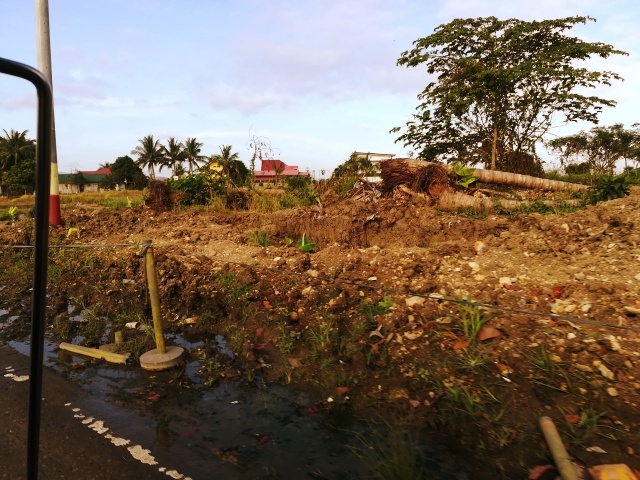 While it’s good that the roads will be wider since traffic is slowly starting to build up in these parts, I feel sad about all the trees that are being uprooted in the process. It has always been one of my favorite parts of living here that when you are on the road, both sides are lined with trees. Sometimes some of the high branches look like they’re reaching out to one another and crossing the road, making a sort of canopy that the cars pass under. I always thought that was a beautiful thing to see. Now we don’t have that anymore. Road Widening Project I passed...note the trees are marked. It was always relaxing to see all the rice fields that we pass by on our way to our grandmother’s house. Nowadays, these rice fields are being converted to gasoline stations, subdivisions, memorial parks and other establishments. We are starting to slowly become urbanized. At this point I don’t know if that is a good or a bad thing. I have heard of mountains being chipped away or blown up to make roads, which is depressing because as much as I want the easier access to other areas that these roads will provide, it is still sad that Mother Nature would have to suffer because of it. Another road widening project shot...trees have to be taken down. Price of progress. I hope that the government is doing something to ensure that no matter how much progress can be given to the country, no matter how urbanized we can get, that every municipality or city in the country can still have a percentage of natural resources preserved and protected. I hope that one day they can incorporate the improvements being made with corresponding projects pertaining to the environment and give urban sites a green element. That way the improvements won’t mean that the environment would be the price of progress but that improvements would mean a bonus to the environment. Don’t get me wrong, I am not against progress. I just wish that we could do something more environmentally while we do so. Excuse me while I enjoy what’s left of our provincial/rural life while I still can. I will miss this when things change completely.